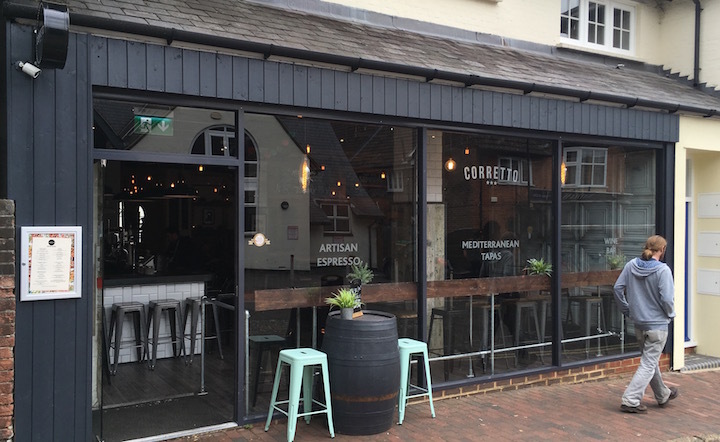 Very excited to tell you about Corretto bar in Godalming. I’m forever on the trail of funky places that do things a little bit differently, and this bar has its cool credentials up in lights. It romped it in as best bar in the Muddy Awards, which probably tells you something right there. It opened at the end of last October offering coffee by day and cocktails by night, alongside a decent wine list, craft beers and ciders, and some of the best tapas I’ve ever eaten. 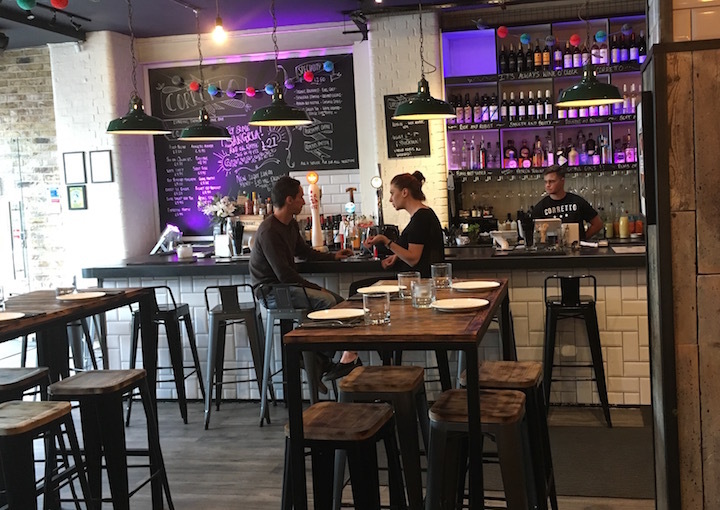 And while you probably wouldn’t raise an eye to this kind of combination in London, the reality is that in the Home Counties not many bars manage to operate so successfully on this many levels – particularly the buzzy bar/good food combo. 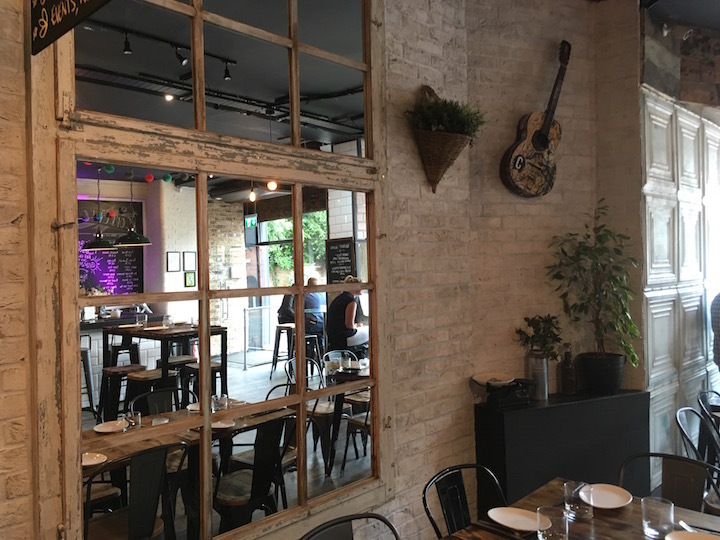 With an 8.30am daily opening for coffee, and a brunch, lunch and dinner menu, a 1am closing time on Fri and Sat nights, and monthly special events, such as the upcoming Mad Hatter’s Tea Party on August 27, these guys clearly mean business. I met Mr Muddy for a cheeky bevvy and early supper while the bratlets were both otherwise indisposed. 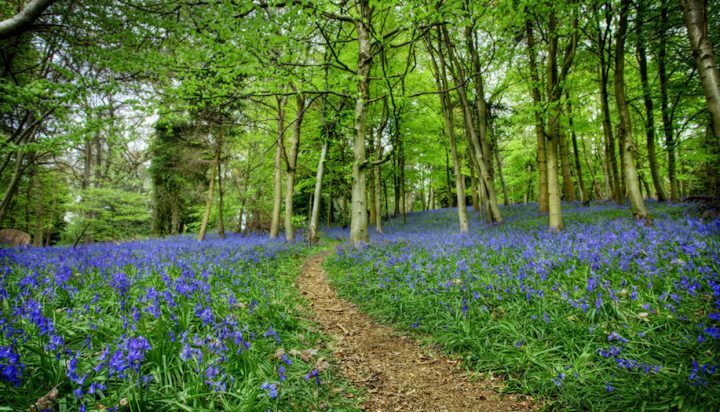 It took me back to our pre-kids days when we lived in Greenwich and ate out every second night – only here we were, in the depths of Surrey! A large glass of the Muddy nectar for me, and a bottle of Australian craft beer for him. 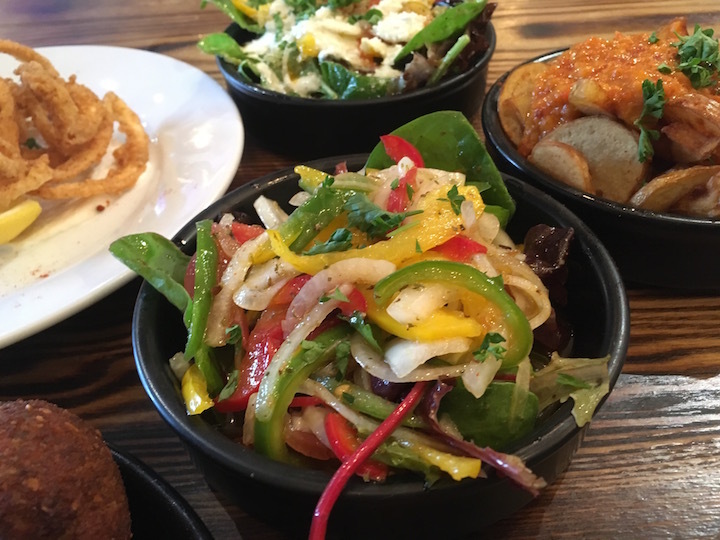 We didn’t have tons of time, so we ordered quickly – six tapas dishes between us. The recommendations are 3-4 per person, which seems about right. We went for the Maria’s salsa, the chef’s family special of marinated peppers, tomatoes and onions (£3.95) – that’s in the centre aboce. It seems so simple, at yet it was so divine. 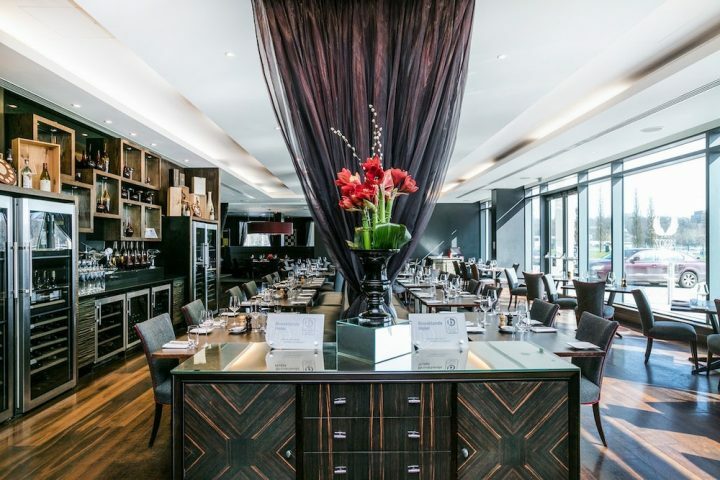 We also ordered the garden greens, a salad with Parmesan and balsamic (£3.95), spinach and mushroom croquettes with aioli (£4.95), patatas bravas (£4.95), calamari with lemon aioli (£5.95), diver-caught scallops (£8.95). The chef thoughtfully also sent out a dish of chorizo 3-ways. The food came quickly, and was wonderful. 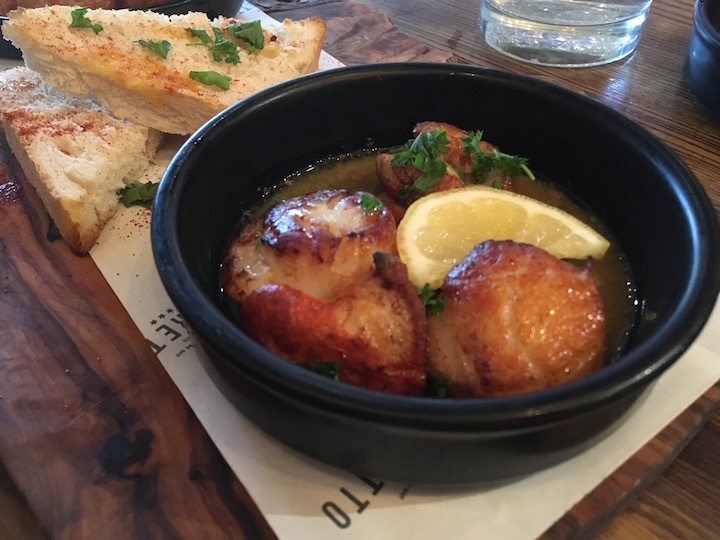 The patatas bravas – which I think can often be soggy and soft, or overly oily, were none of these, the scallops, of which I’m a huge fan, did not disappoint, and the salads were fresh and crisp. We demolished the lot pretty quickly. For pudding we continued the sharing theme, and ordered three scoops of ice-cream with two spoons. I’d have liked to have stayed longer – it was a Friday night and the place was just starting to fill up as we left – but the children beckoned, so I’ll have to leave that for another night. But this is definitely a place I’ll be going back to. 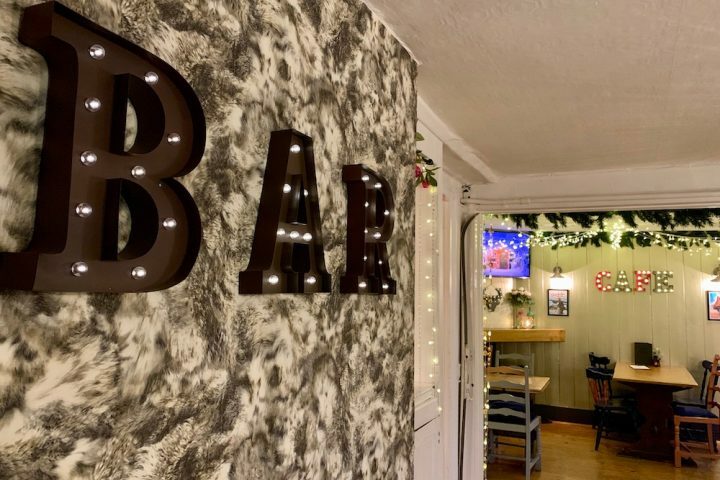 Good for: groups of friends who want to meet up for a drink, and then grab a bite to eat, couples, girly nights (oh and lads’ ones too, I suppose). Not for: mums with prams will be fine in the daytime, but by night the mood takes on a funkier tone that’s definitely not befitting to a night out with kids. If you don’t like sharing your food, then this may not be the place for you either – the menu is built around sharing. £££: On the lower side of middle, the small tapas dishes are around the £5, seafood is around £8, and sides are £3-£5. 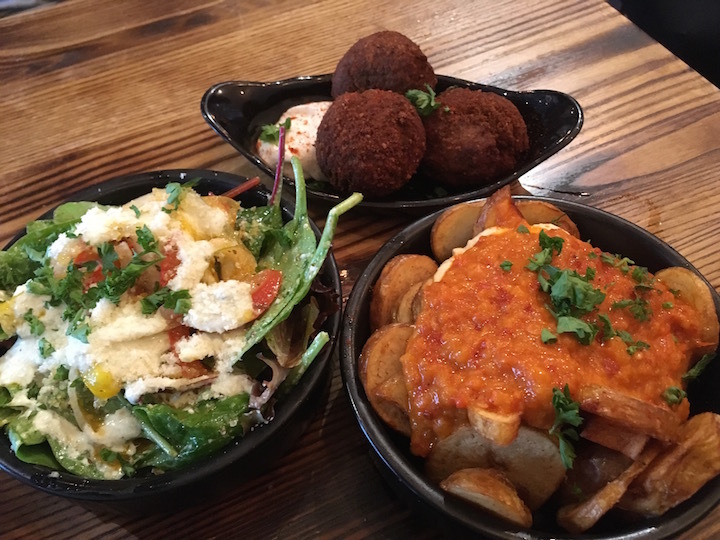 About 3-4 tapas dishes are recommended per head. I also went to Corretto for the first time a week ago. We intended to just have a quick drink, but the atmosphere and food was so good, we ended up staying for seconds!! I’d definitely recommend for an evening out. It’s a great little find, isn’t Lucy.